Follow these articles to make your home accessible! 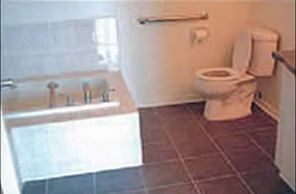 If you are faced with remodeling your current bathroom in order to provide accessibility for wheelchairs, mobility scooters, people who use walkers or if you are designing a new home and want to incorporate accessibility features into your new bathrooms this article covers the keys to designing and building an accessible bathroom. Standard kitchen design and construction is not friendly to those confined to wheelchairs or for those who have any number of disabilities. 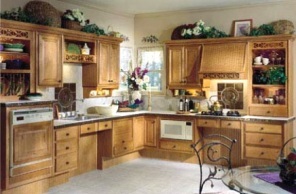 There are numerous design and construction techniques that can be incorporated into most kitchens to make them accessible to those with disabilities or confined to wheelchairs or mobility scooters. 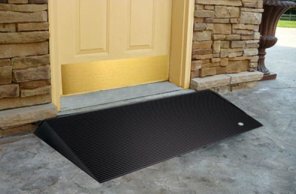 For those who are confined to a wheelchair or must use a mobility scooter to enter and exit a home the proper construction of a wheelchair ramp is critical to their safety and comfort. There are very specific design criteria which will make the wheelchair ramp a convenience rather than a hindrance. Being in a wheelchair does not mean you cannot enjoy gardening or relaxing in a accessibly designed garden area. 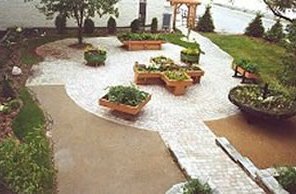 Accessible gardens are easy to build and maintain providing you understand the basics of accessible garden construction. Constructing a doorway that is wheelchair, mobile scooter and walker friendly can be a challenge. Doorways should be 36 inches wide to conveniently accommodate wheelchair and mobility scooters. 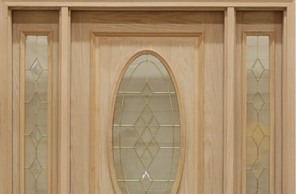 Having a 36 inch door can create its own problems, however their alternatives, that are easy to implement. Any change in floor height can create mobility problems for those using crutches, canes, walkers, wheelchairs or mobility scooters. There are construction methods and products that can be used to overcome the problems associated with changes in floor height. 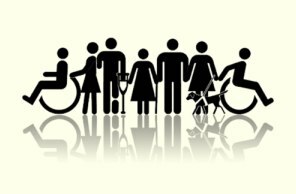 Universal design is not a design standard for those with disabilities. Universal design is a concept whereby our homes, the products that we use and consume are designed to be more user friendly. It is a change, for the better, in the way we live, work and play. You can plan for future accessibility when remodeling or renovating current rooms within your home. 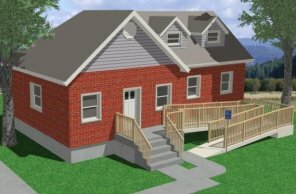 Doorways are one of the most expensive retrofits when making rooms accessible, but with a bit of advanced planning you can design all your doorways to have future accessibility at a minimal cost.